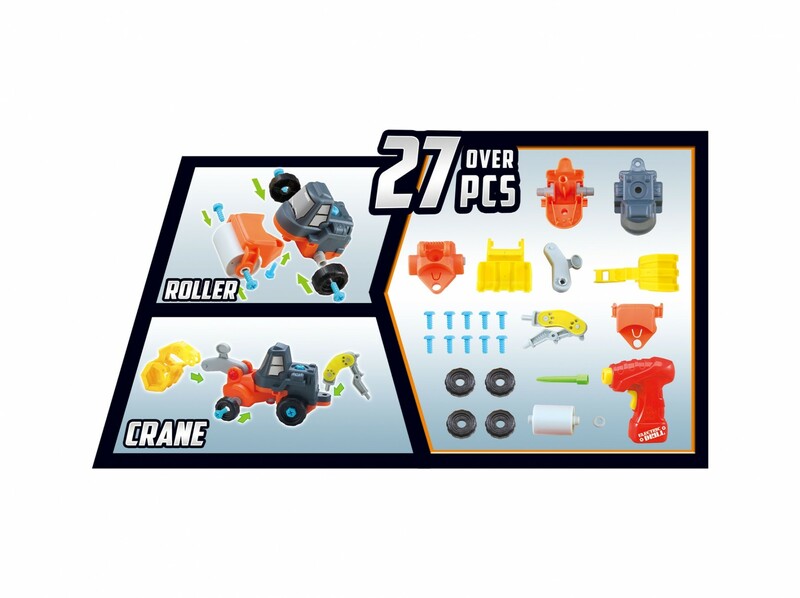 Master Box Dimension : 23" X 16" X 19"
This 3-in-1 is the perfect innovative toy set for your child. 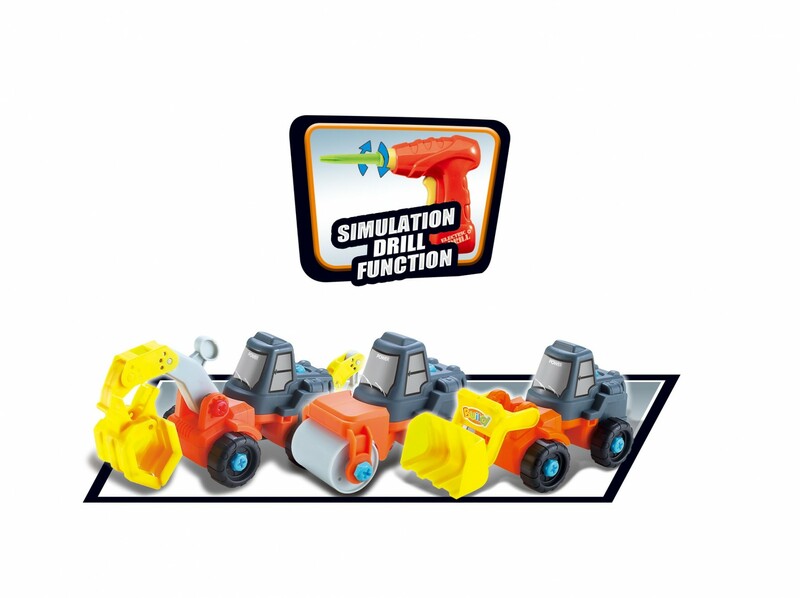 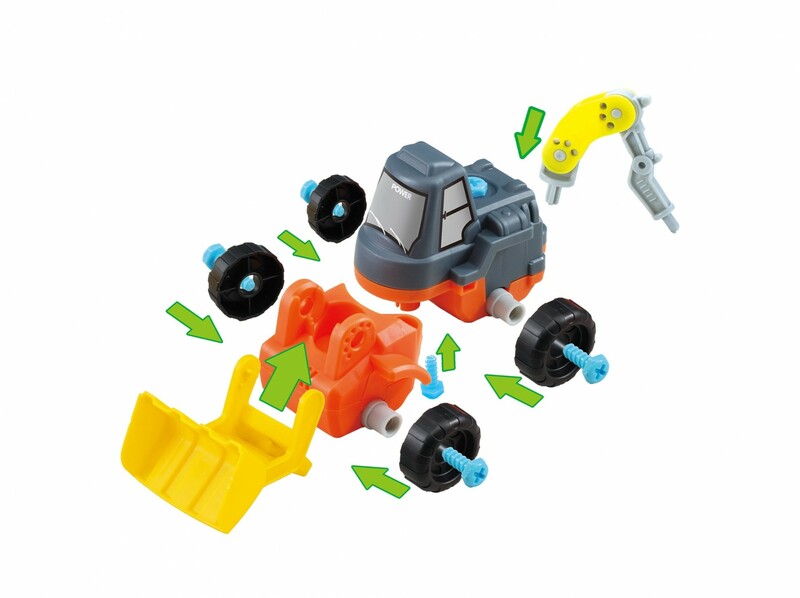 Let your child use the pretend power drill and screwdriver to take apart pieces and build their own excavator, bulldozer, or road roller. 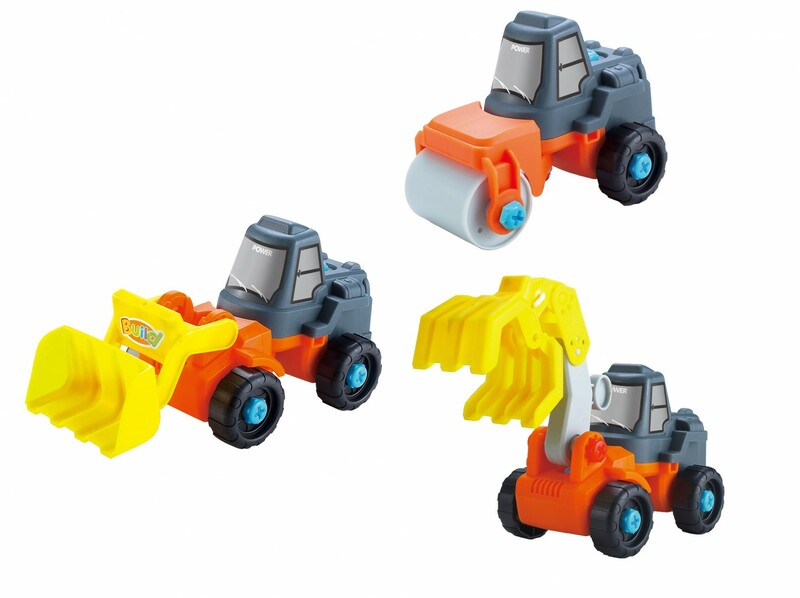 Watch as your child uses their imagination and engineering skills to build their own construction trucks.